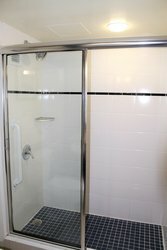 Find the accessible features you’re looking for in this ADA room, featuring one soft king bed and a walk-in shower. Maneuver with ease through this spacious room. 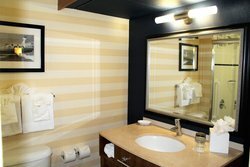 The bathroom allows you to make yourself at home with an accessible tiled walk-in shower, grab bars, and complimentary bath amenities. 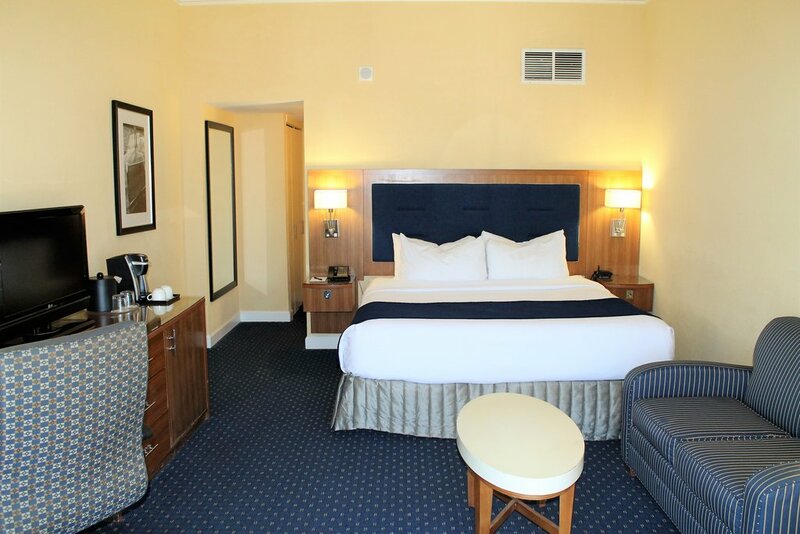 Our King ADA Room with a Walk-In Shower comes equipped with a sleeper sofa to accommodate additional guests. Watch a movie on the 32” flat-screen TV which includes the HBO Package. Other features include a coffee maker and work station. Book this accessible room for your next visit to downtown Hampton!